Bring home the peace and tranquility of Buddha with this lovely set of 2 picture frames. Designed with care and manufactured using the best MDF material, this picture frame set is not only beautiful but also extremely durable and light-weight. The high resolution print on the frame will not fade for years. The ease of cleaning makes this product a must buy, just be careful to remove the accumulated dust over it using a soft dry brush instead of water. The picture frame can be hung on your wall using the loops in its back. With a unique, magnificent design and dazzling colors, the set of picture frame will transform your ordinary looking wall into a statement. 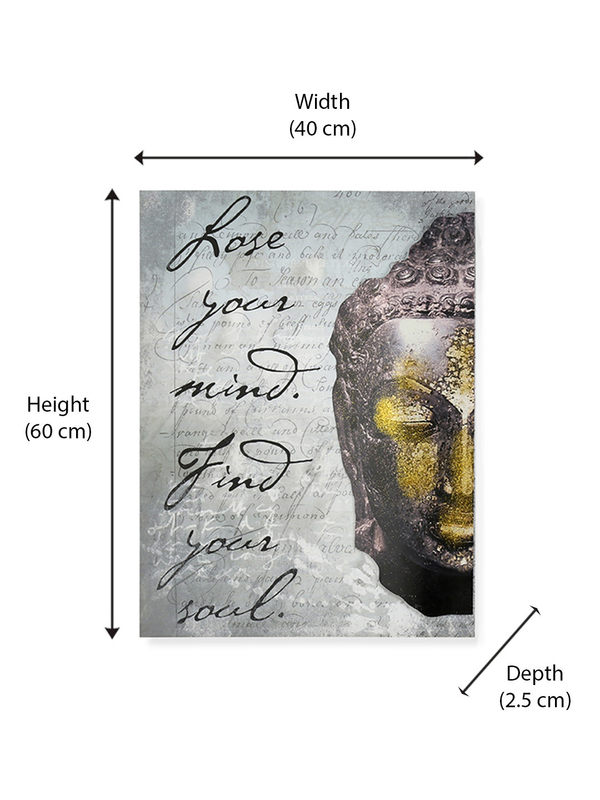 The Buddha face picture frames looks best when placed together but can also be separately hung. The serenity that this picture frame emits is beyond words, with a truly soul-stirring quote written on it. Inspire yourself everyday with this spiritual wall hanging frame. You can also give it as a wedding or housewarming party present to your loved ones. This amazing product is just a click away so wait no more and buy it today from @home.